Hi, Jessica here! 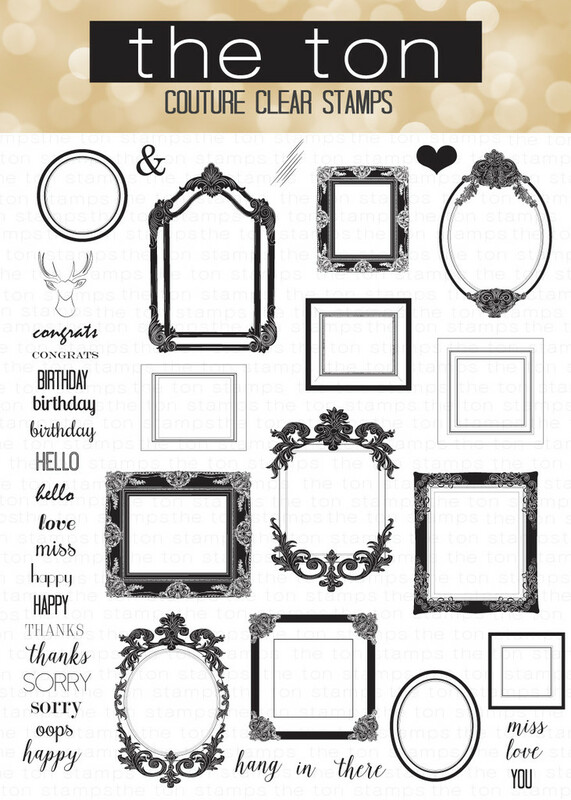 Today I’m sharing a card featuring the Vintage Frames stamp set. This stamp set has a whopping 41 stamps and includes a ton of sentiments in various fonts. You can use the frames to highlight a sentiment or as a gallery grouping as I’ve done today! I love that the frames are also in a variety of styles to suit different themes. I just love the versatility of this stamp set! I decided to be a little playful with this card and give it some movement! 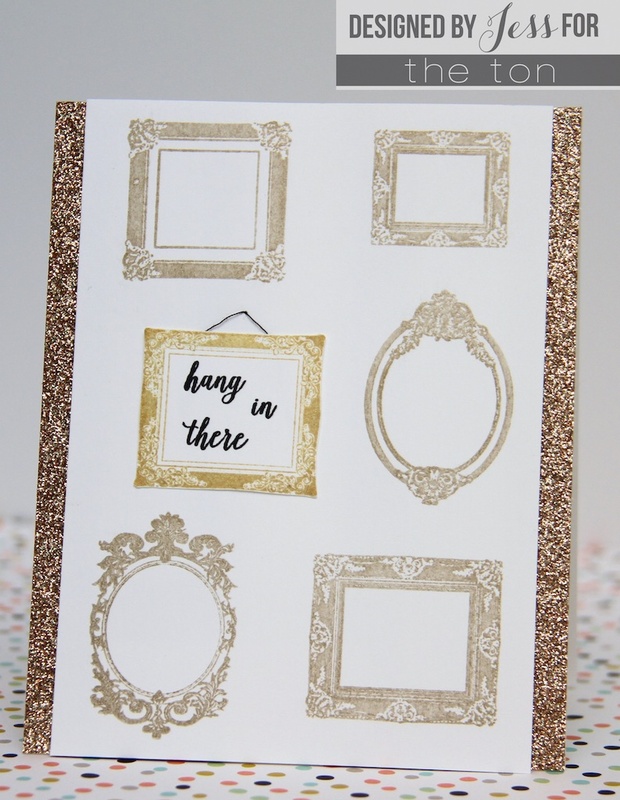 I started off by using my MISTI to stamp five of the frames with Hero Arts Gold Shadow ink. Then I inked up the stamps again with Delicata Golden Glitz ink and dabbed some of it off to give more dimension to the frames. Then I stamped another frame with the same Golden Glitz ink and heat-embossed it with clear powder. I added the sentiment in Versafine Onyx Black ink then fussy cut the frame. To create the swinging frame I taped a little bit of black thread behind the frame in a loop. To give the frame a more finished look from all sides, I fussy cut a second piece of paper to the same size and adhered it to the back of the frame. Next I poked a hole through the card front with a needle and threaded a second piece of black thread through the hole. I looped the second piece of thread through the frame loop and threaded it back down through the hole. Once it was through I pulled it tight so that the frame was secure and taped down the loose thread. This allows the frame to swing back and forth with no risk of it coming loose! I thought the sentiment ‘hang in there’ would be great for a “loose” frame. To finish the card I trimmed the edges down and framed it with gold glitter paper before adhering it to a top-folding A2 card base!